Big Ben is actually the bell in the clock tower of the Houses of Parliment but everybody calls the clock "Big Ben." Here's the wikipedia page and here's their webcam. 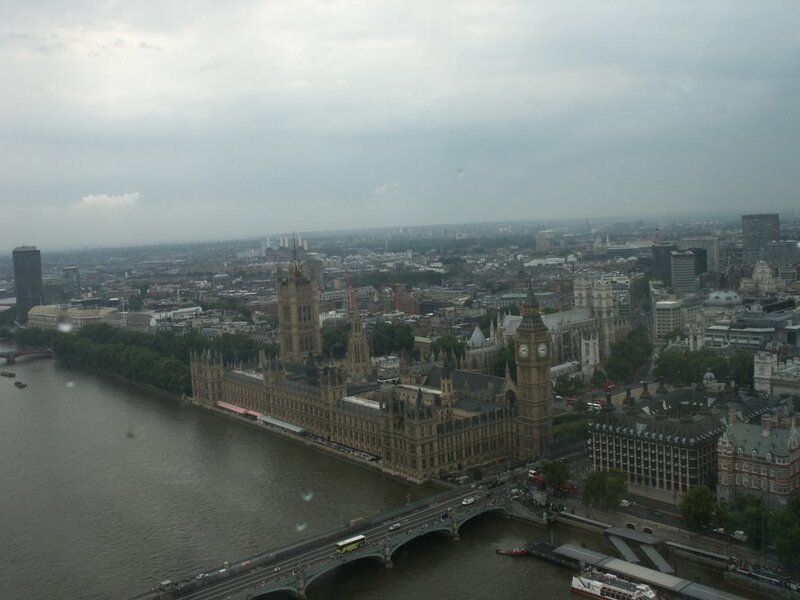 Here's a picture that I took from the London Eye and here's one I took closer up.